I recently gave a talk about creative narrative writing for 7-9 year olds after a book reading. Below are my talking points, which you can use in your class or homeschool. The kids responded really well to the plan and were able to reiterate the story writing process. They were able to relate to the concepts, so overall it was a great success! 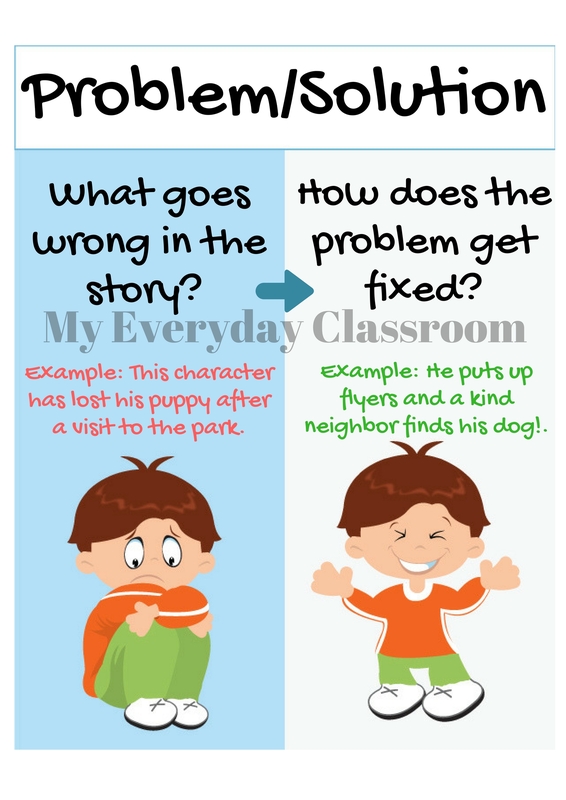 Read on to see the plan and you can find my narrative writing plan on TPT, it comes with and awesome poster set to display on walls. This is the most basic principle of story writing. The kids really seem to relate if you compare stories to a sandwich. The problem and solution are the meat of the sandwich, and all the other toppings work to enhance the problem and solution. At the end of the day, readers want to bite into a juicy topic that keeps them interested. I purposely kept this page very basic, so as to emphasize the simplicity of this step. 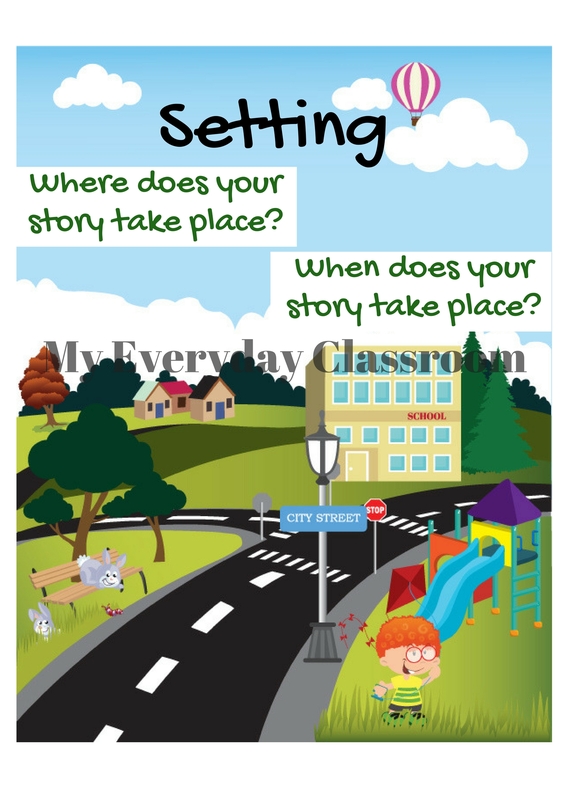 Help students set the scene for their stories by deciding on the time and place that their stories take place. 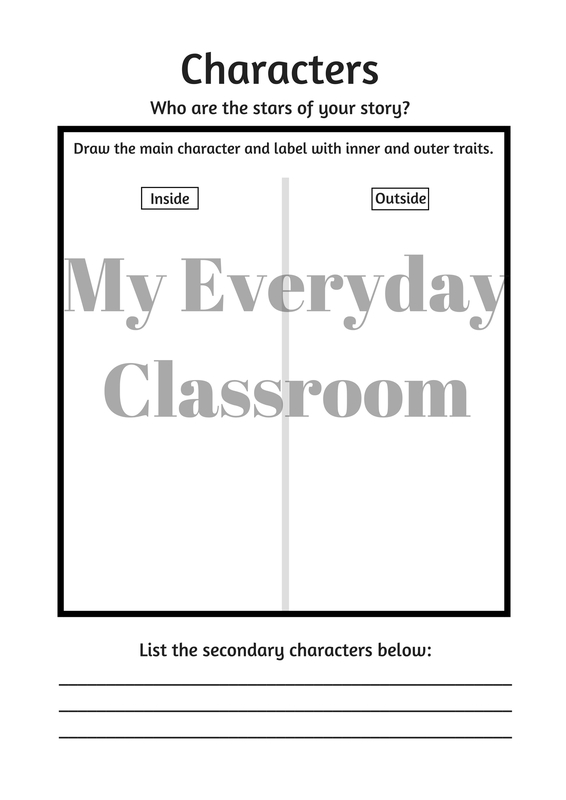 This step helps students from jumping around in their plot lines, and helps them form a more coherent narrative. 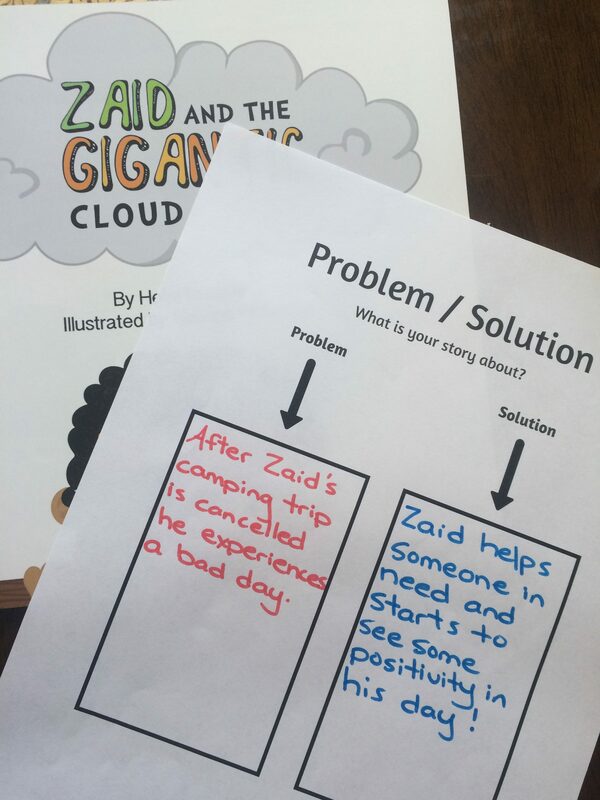 Kids usually understand that their narratives need a problem and a solution; however, they don’t quite realize the importance of a strong character who carries the message of their story. I love encouraging kids to spend some time developing their character and giving them a back story. This helps to enrich the story and make it more cohesive. 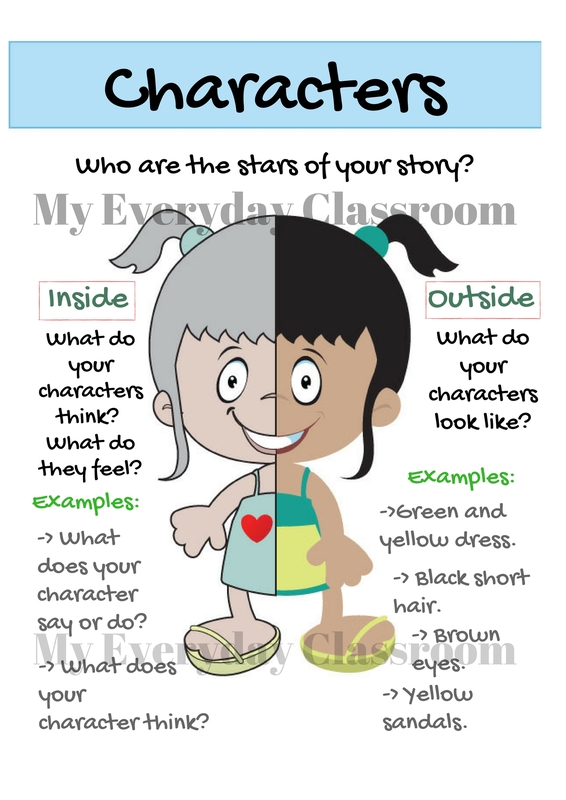 It also helps little writers to stay consistent within the presentation of their character. 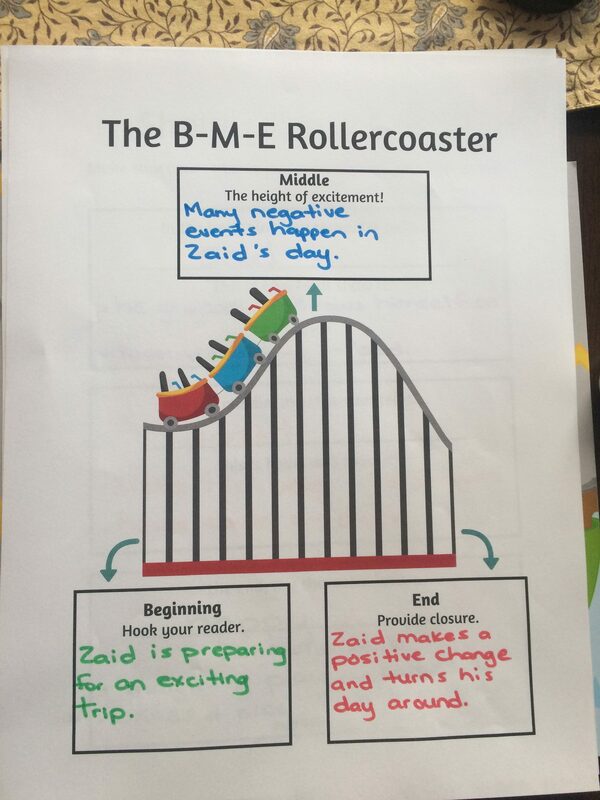 For the best success with this step, help kids visualize a rollercoaster. Guide them towards the most exciting part of a ride, where you are inching towards the top of the tracks, gripping on to the ride and taking the fun plummet down. This visualization gives little writers a great association with the climax of their story. 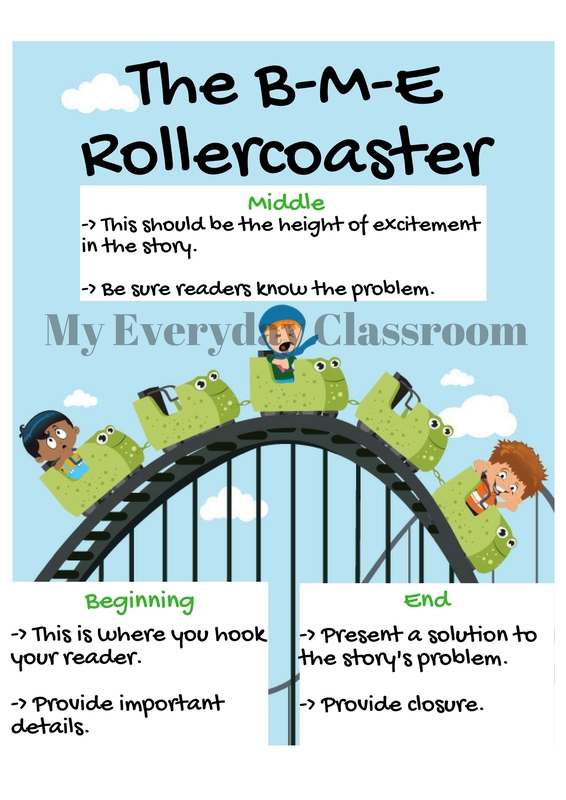 It helps them understand the concept of keeping readers engaged when planning their stories, and helps to see the progression of the beginning, middle and end. The final planning phase for narrative writing involves language choice. 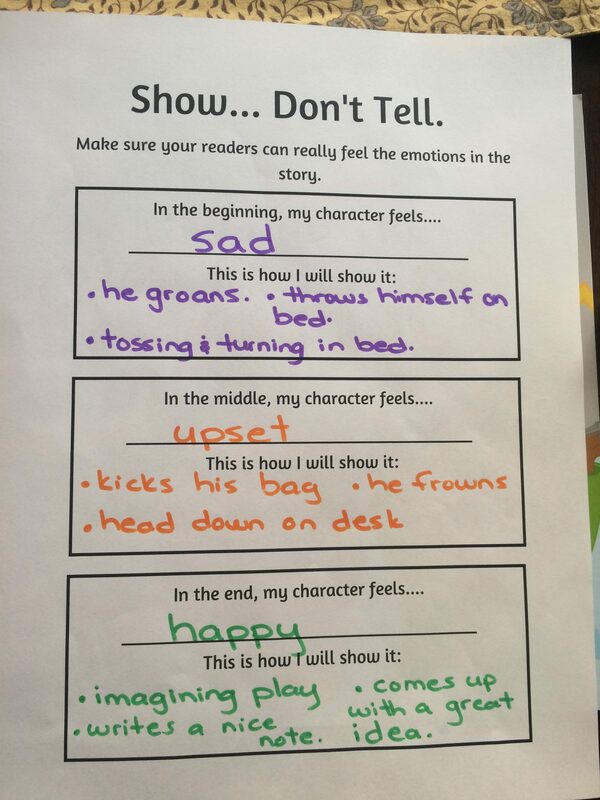 Explain to students the importance of showing readers how characters feel, as opposed to telling them how they feel. Students respond very well to a game of charades to help illustrate this point. 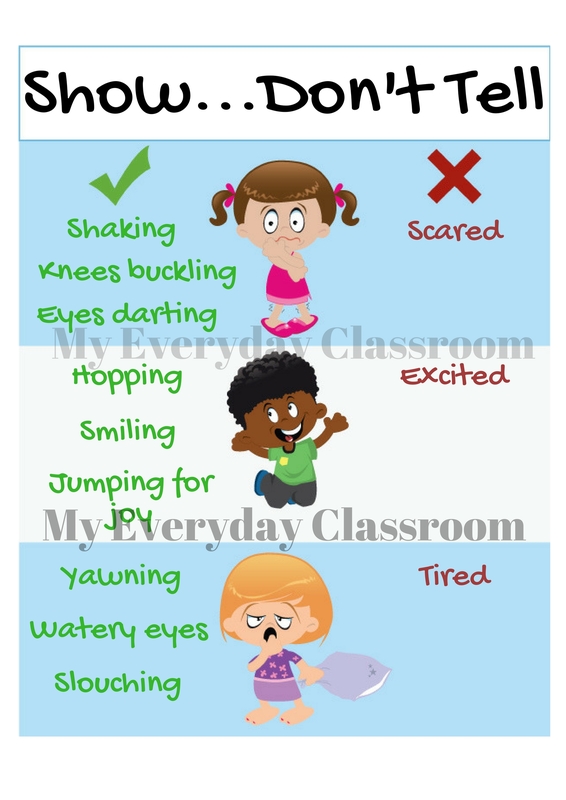 It’s also helpful to have an anchor chart listing common emotions, as well as how to show them (ex. “upset” = “arms crossed”, “red face”, etc). Students should walk away from this step understanding the importance of descriptive language.